WebMD Health Corp., the leading source of health information, today announced the winners of its 2015 WebMD Health Hero Awards, recognizing individuals who are changing the healthcare landscape by meeting a health challenge and giving back to others. This year’s winners are Glenn Close, Ronald “Jake” Clark, Dr. Bennet I. Omalu and Kenneth Shinozuka. 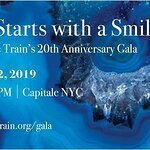 On November 5, 2015, a star-studded lineup of presenters and performers will gather to celebrate this year’s winners at the annual WebMD Health Hero Awards Gala, hosted by Good Morning America co-anchor Robin Roberts. Presenters and performers include Harry Carson, Kevin Lacz, Seth and Lauren Rogen, Amos Lee, Mary McBride, The Broadway Boys, and more. To watch the red carpet arrivals on November 5, 2015 live from the Times Center in New York City, follow WebMD on Periscope at 6:30 PM ET, then follow @WebMD and #HealthHeroes on Twitter for updates from the WebMD Health Hero Awards. To learn more about this year’s winners, visit WebMD.com/healthheroes. The WebMD Health Hero Awards are presented by Allergan (allergan.com) and supported by Cancer Treatment Centers of America (cancercenter.com). 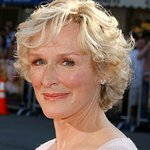 Glenn Close understands that mental health is something that affects all families. Yet few talk about it. It wasn’t until her sister Jessie received a diagnosis of bipolar disorder, and her nephew Calen was diagnosed with schizoaffective disorder, that the Close family took action. In 2009, her family asked Close to use her platform to end the stigma surrounding mental illness. In 2010, she founded Bring Change 2 Mind (BC2M), a nonprofit organization built to start the conversation about mental health and to raise awareness, understanding, and empathy. BC2M develops influential public service announcements (PSAs) including its most recent campaign, #StrongerThanStigma, has piloted evidence-based programs at the university and high school levels engaging students to reduce stigma and discrimination, and has created a social movement around change by providing people with platforms to share, connect, and learn. Ronald “Jake” Clark has a long history in the military, starting in 1983 when he first enlisted in the Army at age 17. After 9/11, he re-enlisted, feeling compelled to serve his country again. This time Clark returned home feeling empty and self-destructive. After many of his fellow returning veterans committed suicide, he knew he had to do something. In 2012, Clark created Save A Warrior, a program that helps veterans and first responders recover from post-traumatic stress. Hundreds of Warriors have completed the program, and most were suicidal when they entered. Clark has continued to expand the program, serving both men and women from coast to coast. In September 2002, while working for the Allegheny County, Pennsylvania, coroner’s office, Dr. Bennet I. Omalu performed an autopsy on legendary Pittsburgh Steelers center Mike Webster. When the Nigerian-born forensic pathologist delved deep into Webster’s brain, he discovered clumps of tau, an abnormal protein common in the brains of elderly Alzheimer’s patients but never before seen in a relatively young football player. Dr. Omalu named the condition chronic traumatic encephalopathy (CTE) and linked it to the brain trauma football players sustain. Dr. Omalu’s discovery — and persistence — eventually forced the NFL to institute stricter rules to limit head injuries and transformed the way the game is played. Kenneth Shinozuka was 6 years old when he had the idea to place sensors under bathroom floor tiles that send an alert to a caregiver’s wristwatch if an elderly person falls. His “smart bathroom” concept never made it to market, but a few years later, he designed and built the prototype for another invention: a pressure sensor worn inside a sock that sends an alert to a caregiver’s smartphone when someone with dementia wanders out of bed. His grandfather, who has Alzheimer’s, inspired Shinozuka to make the device. Now a 17-year-old high school senior, he hopes to one day develop cures for Alzheimer’s and dementia. To read more about WebMD’s Health Heroes, or to learn more about the Awards Gala produced by Scott Mauro Entertainment, Inc./ Scott Mauro, Executive Producer, visit www.webmd.com/healthheroes. WebMD’s Health Heroes will each receive a $10,000 donation from WebMD to his or her cause and be featured in the November/December issue of WebMD Magazine. You can read more about past WebMD Health Heroes at www.webmd.com/healthheroes.